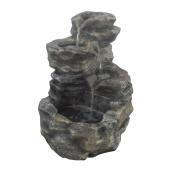 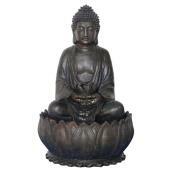 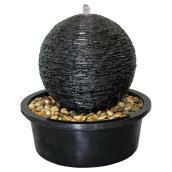 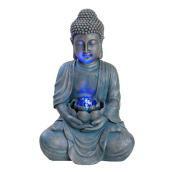 Article #08265075 Item #000402965 Model #AD95131 Format 32"
This Aberdeen water fountain helps you add to the tranquility of your garden. 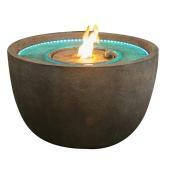 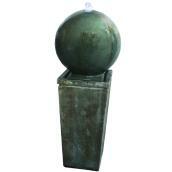 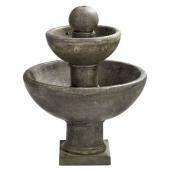 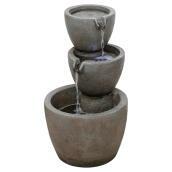 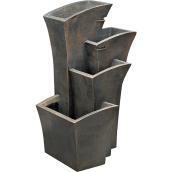 The fountain has a smooth concrete look that blends beautifully with any natural surroundings. 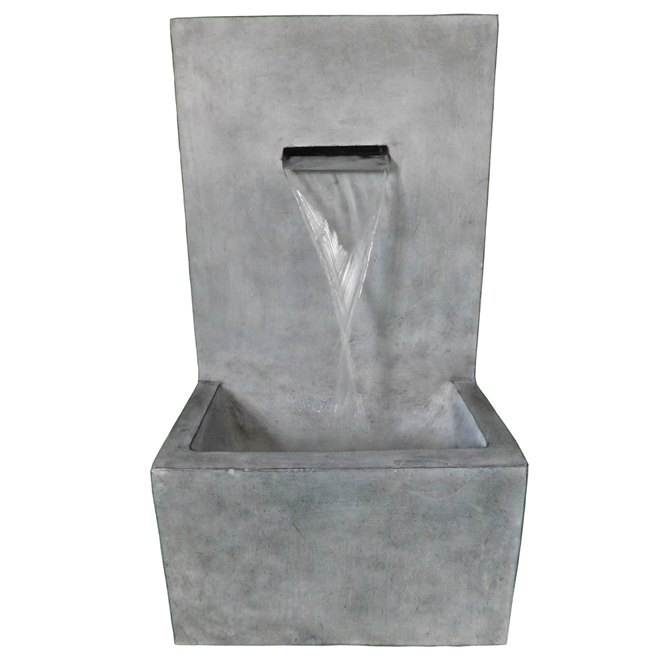 Water falls into the modern square basin and provides a serene sound with minimal splash. 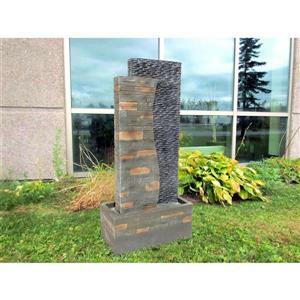 The decorative fountain is made of fibre-reinforced Nu-Crete concrete material that provides exceptional strength and durability for lasting outdoor performance without the cumbersome weight. 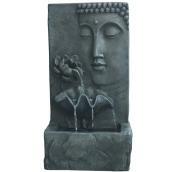 The garden fountain comes complete with pump for convenient installation. 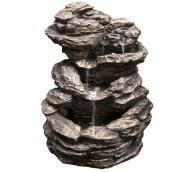 Backed by a 1-year limited warranty.